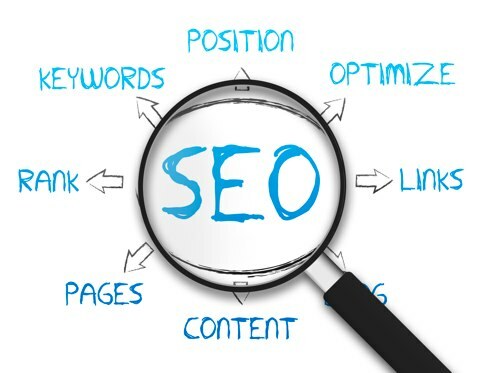 SEO is short for search engine optimization, meaning it optimizes your website to rank well in the major search engines such as Google, Bing and Yahoo! Fun fact, did you know that 75% of search engine users don't go beyond page-1. This means that if you are not on page one of the SERP's your business is potentially NOT receiving SEO search impressions or clicks. We know that many SEO firms are not affordable for small businesses. That's where we come in, we specialize in optimizing your website at rates that don't break the bank. Our goal is to provide your business or organization excellent service that provides long term benefits. We want you to have a great experience with a reputable SEO consultant that you can pick up the phone and call at any time. Our pricing fits most small business budgets. We understand that digital marketing dollars don't fall from the sky. Call us today, we will provide a free written assessment of your websites current state of SEO. Is your website structured currently. We will make sure the HTML is easy for the search engines to read and understand. We do the keyword research for you, what keyword a potential web visitor types into the search box is critical. SEOMOZ says "keyword research is one of the most important, valuable, and high return activities in the search marketing field. Ranking for the "right" keywords can make or break your website." They then go on and state, "through the detective work of puzzling out your market's keyword demand, you not only learn which terms and phrases to target with SEO, but also learn more about your customers as a whole. This is why it's important to hire a great SEO consultant, as they understand basic keyword principals and know how to apply them. Let's get back to the basics. If you don't leverage the correct title tag on your webpage you are swimming upstream. The contents of your page’s <title> tag, is one of the single most important factors for ranking in the search results. Not only is it the literal title of the tab or browser window, it’s also the first line people see in the search results, followed by the URL and the snippet, usually the meta description combined with a date. Let our Charleston SEO Consulting Company optimize your titles tags to help you, not hurt you. After we establish what the proper page title should be, we will then focus on your website page header tags. We want to make sure that your H tags support your title tags, which should both support the web page URL if possible. Doing so tells Google, "hey this page is about....."
Google Webmaster Tools helps you to identify issues with your site and can even let you know if it has been infected with malware. It states which search queries are being searched on and what page those queries are landing on! And the best part? It's absolutely free. If you don't have a GWT account, then you need to go get one now. SEO content is any content created with the goal of attracting search engine traffic. Great content takes time to plan, compile and deliver. The end result should be something different than anything that currently exists and developed with a strategy in place. Let our group optimize your website by producing high quality blog content. By creating a blog and providing new content to your blog, you with both drive new internet traffic to your website and tell the major search engines that your website is actively generating new killer content. Big time plus! Inbound marketing focuses on earning, not buying, a person's attention, which is done through social media, engaging website content, blog articles, whitepapers (B2B), and more! As a rule, this type of content is more relevant and informative. It creates a positive connection with the web user. In most cases it cost less and creates a better ROI because the content stays on the web. At Palmetto Digital Marketing Group we offer digital marketing, web design and eCommerce consulting management services to companies throughout the lowcountry, including Charleston SC, North Charleston SC, Savannah GA, Myrtle Beach SC & Columbia SC regions. Think of us as the digital marketing extension of your company. Our motto is "we do digital, so you don't have too."